I have read posts on FB declaring that California is burning due to God's wrath in judgment of the widespread debauchery which is so prevalent there. I seriously doubt I could convince some that is not the case, so I'll let those who believe that stay saddled on their high horse. California burns every year. Is it because they are stiffnecked and refuse to accept Christ? 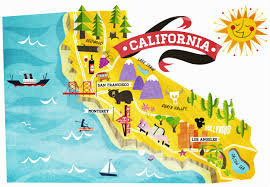 This may surprise many, but there are millions of Christians who live in California. Personally, I reject this thought process. So, why does California burn every year? Because the leadership in California is profoundly stupid. It is illegal to clear out all the underbrush in the wooded areas. The environmentalists have won the hearts of Californians, proclaiming that clearing out the underbrush disturbs the habitat of several woodland creatures. Never mind that the underbrush is a catalyst that turns the forests into a huge inferno when ignited. Water is channeled from the melting mountain snow into the ocean as opposed to piping it to the dry southern regions. Californians are receiving exactly what they have voted into office...pure self centered idiocy. The leadership also make government workers eligible to 90% of their pay at retirement after a mere two years of service. That's not sustainable gang. It's time for the residents of California to wake up and join the rest of the country, and open their eyes to reality. Just my humble opinion, but I doubt they will listen.